Prune fruit trees when the leaves are off (dormant). It's easier to see what you are doing and removal of dormant buds (growing points) invigorates the remaining buds. 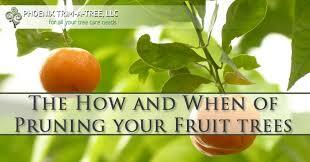 Summer pruning removes leaves (food manufacturer), slows fruit ripening, and exposes fruit to sunburn. Winter Fruit Tree Trimming is happening now! Joe Christman responded to my request for a quote to remove a fallen tree very quickly. that I wasn't expecting. They even thought the tree trimming was "fun"!!. The work they completed for me would have taken me months to complete myself. I am now so relieved that my trees won't pose a problem with any upcoming winds this fall. I highly recommend West Coast Tree Company. 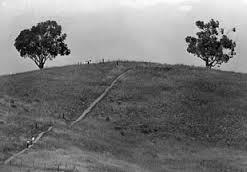 - Elain C.
Fall is time to cut those trees that drip and make a huge mess. These trees cannot be trimmed in Winter or in Spring. If you have a Maple, Birch, Dogwood, Walnut, or an Elm, it is time for your annual pruning. Trimming these trees now will help identify any disease or pests that are harmful to the life of the tree. Diseased limbs and deadwood create an unappealing plant. Trees are an investment. The healthier the tree the better the aesthetics of your yard become. When your trees get trimmed they should have a natural look to them. Good trimming appears invisible. Tree's need care just like any living thing. Water, light, and nutritious soil contribute to the health and long lasting of your trees. With current climate changes and droughts, trees are experiencing health issues. It is important to have your tree's checked at least once per year to ensure your trees do not have pests or diseases. Pests and diseases can damage your tree causing large branches to fall.Take a look at your house and check to see if there are any branches looming over. This is a serious safety hazard and can damage your home. If you have any questions please contact us. We are here to help. Take a look at your house and check to see if there are any branches looming over. This is a serious safety hazard and can damage your home. 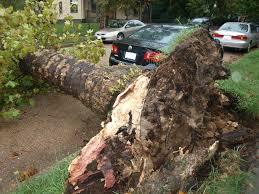 Prepare for the winter storms by having an Arborist take a look at your trees. We always offer FREE ESTIMATES. It doesn't hurt, why not give us a call? If you have any questions please contact us. We are here to help. Although coffee grounds are widely believed to be an acidifying agent when added to garden soil, the pH of grounds usually tends to be closer to neutral. That is not to say that coffee grounds are not used in the garden. While they may not increase soil acidity, coffee grounds are a rich source of fatty acids, essential oils, and nutrients that enrich the soil. The types of plants and shrubs that benefit from using coffee grounds in the soil depends on the way the grounds are used. Although the grounds do not generally alter the soil's pH, they do improve soil texture and drainage. Additionally, as coffee grounds decompose, they release nitrogen, potassium, phosphorus and other minerals that support plant growth. Some examples of plants that thrive in a nitrogen-rich planting area include leafy vegetables such as spinach, tomatoes, corn, roses, camellias, rhododendrons and azaleas. As a bonus, coffee grounds are reputed to have a deterrent effect on garden pests. According to "The New York Times 100 Gardening Questions and Answers," using coffee grounds as mulch may help repel pests including squirrels and rabbits from damaging vegetables such as beets, broccoli, beans, peas or lettuce. Maximize the benefits of the grounds by adding nitrogen fertilizer to the soil at the same time. Coffee grounds release nutrients as the fungi and bacteria in the soil break them down, a process that can take several months. In the meantime, it’s helpful to have a supplemental fertilizer in the planting area to support plant growth while the coffee grounds decompose. “The New York Times 1000 Gardening Questions and Answers" recommends using no more than 6 pounds of coffee grounds for every 100 square feet of planting area. Coffee bean compost has been found to be a substitute for peat moss when growing anthurium plants. Although using grounds topically can be helpful in deterring pests from the garden, it can also have a downside. Aside from the potentially repellent odor of decomposing wet coffee grounds, using thick layers of coffee grounds as mulch can act as a barrier to moisture and air movement. Linda Chalker-Scott, an editor of Washington State University's "MasterGardener," recommends using no more than 1/2 inch of coffee grounds topped with another type of organic mulch such as wood chips. Mulches and compost made with coffee beans enhanced sugar beet seed germination and improved growth and yield of cabbage and soybeans, she writes. Because of their rich nitrogen content, coffee grounds are ideal for adding to the compost pile. Oregon State University Extension recommends using equal parts of coffee grounds, leaves, and fresh grass clippings to get an optimal balance. Using more than 30 percent coffee grounds can have harmful effects on the compost mixture. Chalker-Scott recommends using 10 to 20 percent coffee grounds to create the ideal compost. Additionally, compost made with coffee grounds may have antimicrobial activity that suppresses certain fungal diseases on vegetable crops such as cucumber, beans, and tomatoes. Although most plants benefit from the nutrient boost associated with adding coffee grounds to the soil or compost, some plants may be harmed by the addition. Exposure to coffee grounds has caused inhibited seed germination and stunted plant growth in plants including white clover (Trifolium repens), alfalfa (Medicago sativa), Chinese mustard (Brassica juncea), inch plants (Tradescantia Albi-flora), asparagus fern and geraniums. 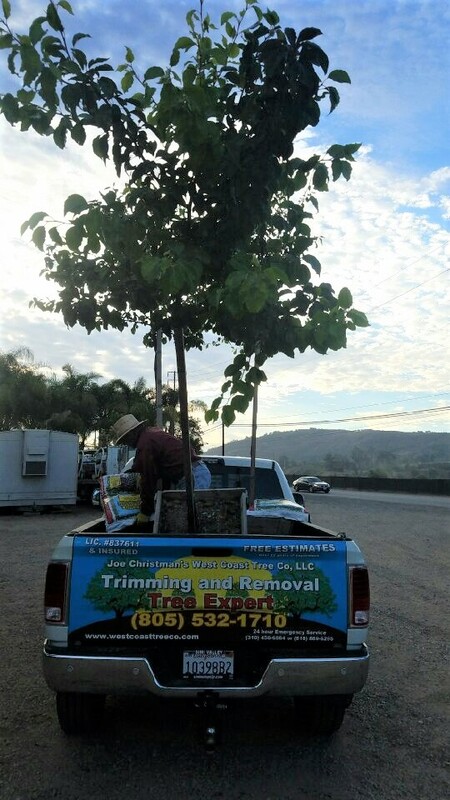 "An arborist, by definition, is an individual trained in the art and science of planting, caring for, and maintaining individual trees. Arborists are knowledgeable about the needs of trees and are trained and equipped to provide proper care. Hiring an arborist is a decision that should not be taken lightly. Proper tree care is an investment that can lead to substantial returns. Well-cared-for trees are attractive and can add considerable value to your property. Poorly maintained trees can be a significant liability. Pruning or removing trees, especially large trees, can be dangerous work. Tree work should be done only by those trained and equipped to work safely in trees. " Early this morning, Joe Christman beat the heat installing these evergreen ornamental pears. These are beautiful lolly pop tree's that will be a great space for birds and shade. Every tree we plant is one step towards a healthier global environment.